Product information "SK-iM282A - Starter Kit for iM282A"
The Starter Kit is a plug & play solution to explore the features and capabilities of the Long Range Radio (LoRa®) module 'iM282A-L LR_Base Plus'. The kit contains two demo boards and two radio modules soldered on specific adapter boards. The modules are pre-programmed with the LR_Base Plus firmware. 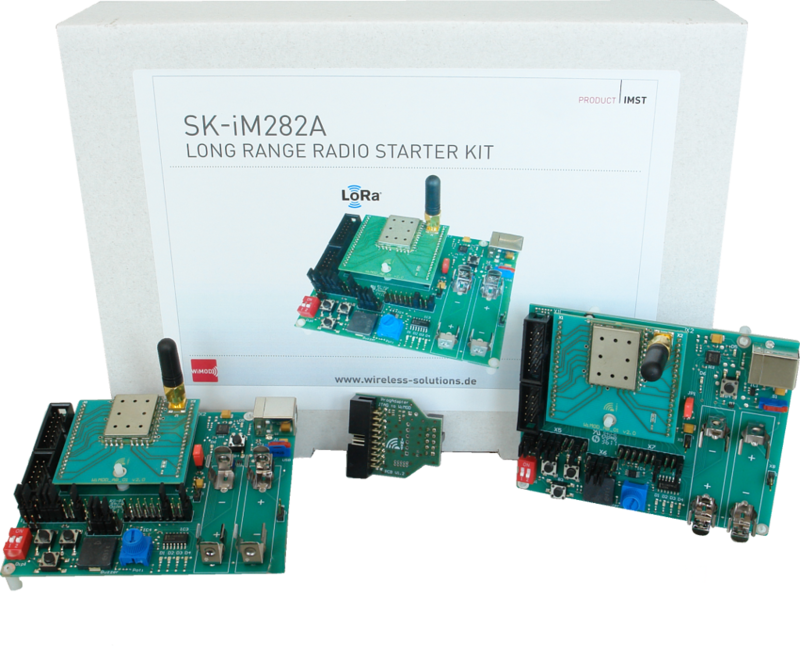 The LoRa® technology can be easily evaluated with our Starter Kit SK-iM282A. It comprises a wide range of configuration and logging capabilities as well as several sample applications like Range Test, Data Link Service, etc. LoRa® is a registered trademark of Semtech, Inc.
Related links to "SK-iM282A - Starter Kit for iM282A"
Customer evaluation for "SK-iM282A - Starter Kit for iM282A"